Let’s take a moment to think about all the stupid stuff I talk about on this blog. Body Pump, mug cakes, the weather, my social awkwardness, mug cakes. How is it possible that I’ve failed to mention that in just about two months I’m going to THAILAND! This is a big deal people. My roommate (don’t tell me since we graduated we’re not roommates anymore) Danielle and I are going to visit one of our best friends from Loyola, Connor. He’s living in Bangkok for the year teaching at St. Gabriel’s. We’re going for two weeks and Connor is going to be our tour guide through Thailand. Given how annoying I am, you can imagine how many people I’ve casually told about how we’re going to a Full Moon Party on an island for New Years Eve. What are your plans? So I made Thai food! Kind of. Most Thai recipes call for fish sauce and oyster sauce and fancy noodles and all that jazz. 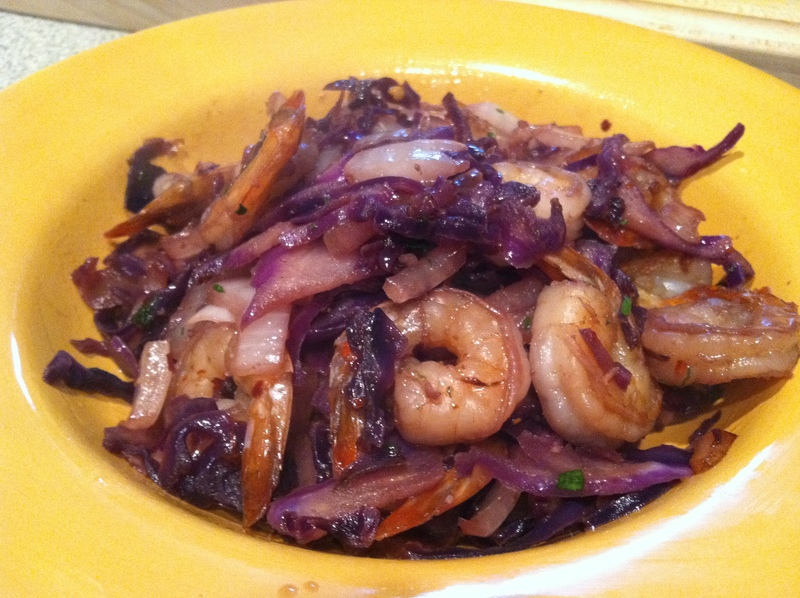 Since I have no money, I resorted to my All Recipes app where I found this “Thai inspired” spicy shrimp that didn’t require a tempting trip down the international foods aisle. It was still delicious. Heat 1 tbs of oil in a skillet over high heat. 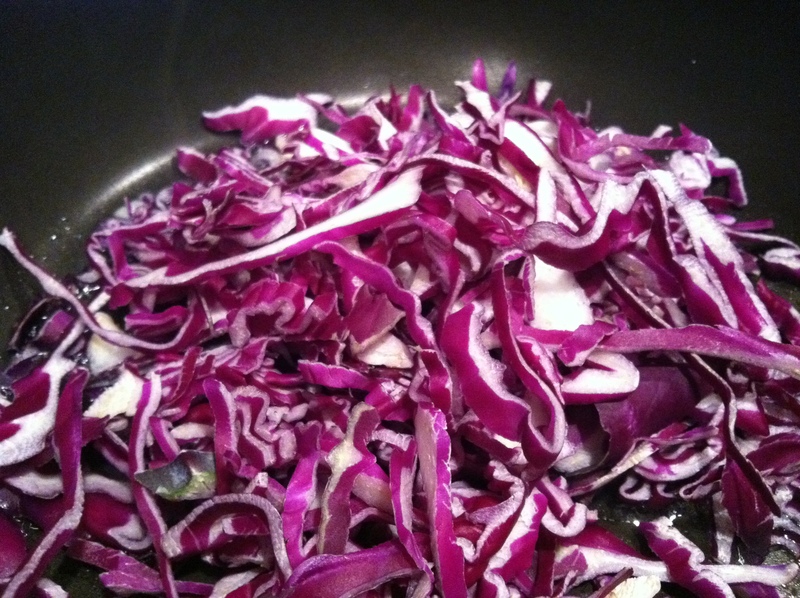 Saute the cabbage for a few minutes, then remove and set aside. I love purple food! 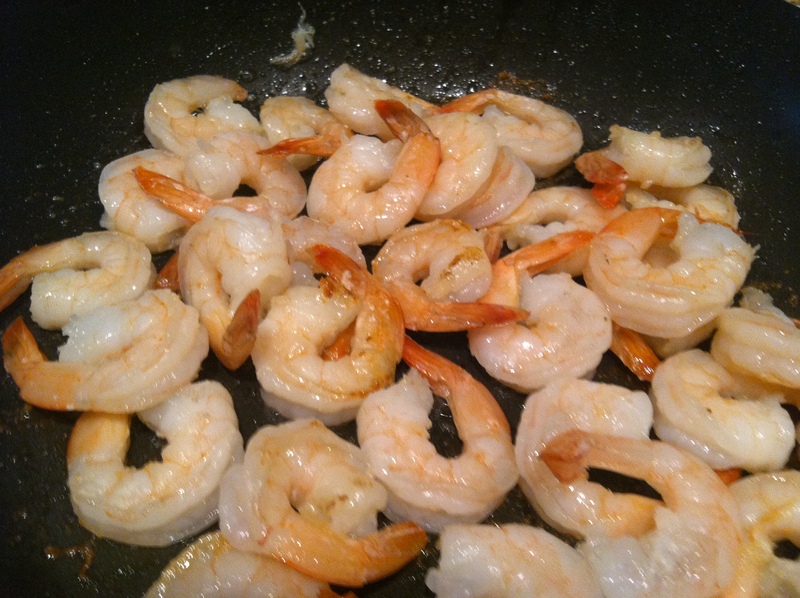 Add the remaining oil to the skillet and throw in your shrimp. I used baby ones because they’re cheaper. Cook for 3-5 minutes until pink. Put the cabbage back in, along with the onions, garlic, soy sauce, red pepper flakes, water, and cilantro. Let it cook together for a minute or so, then enjoy! I feel as though I’m not adequately explaining how much fun we’re going to have. Hopefully these will help.